While I was working in the garden over the weekend I pulled up the remaining beets I had over wintered in the side garden. 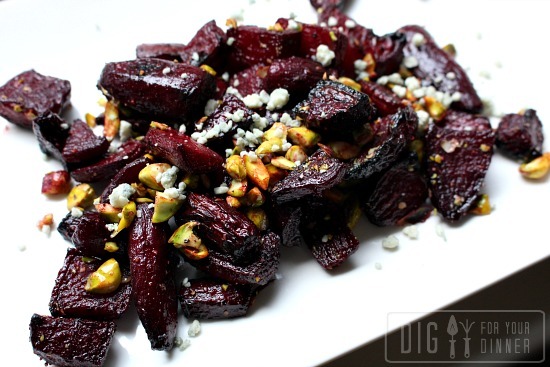 I don’t know about you, but roasted beets are one of my all time favorite sides dishes. I came up with this recipe on the fly and let me tell you Bob, it turned out delicious and had me wishing I made a double batch. 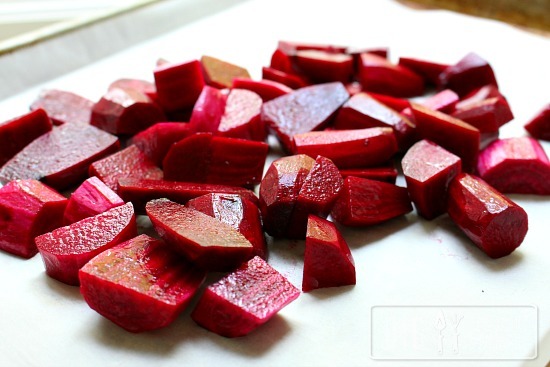 Peel the beets and cut them into 1″ pieces. In a large bowl toss the beets with 1 tablespoon olive oil and place them on a cookie sheet. Sprinkle with salt and pepper and roast at 425º for 15 minutes, turn beets over and roast another 10-15 minutes or until tender. While the beets are in the oven, whisk together the balsamic vinegar, remaining olive oil, garlic powder, shelled pistachio bits and salt and pepper to taste. Once the beets are done cooking and have cooled down, toss with dressing. Garnish with blue cheese or feta crumbles and serve. Enjoy! Oh my Gosh – that looks divine! 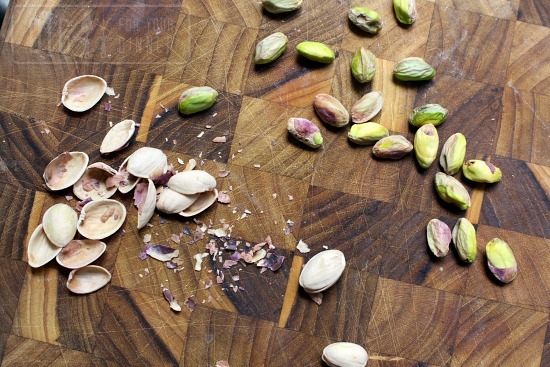 I have beetroot still in the garden and I am going to splash out and get some pistachio nuts and feta and give this a whirl! !